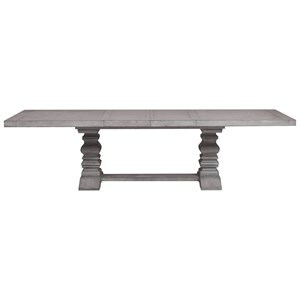 Create a table that works for your room and family size with the option to extend with a leaf or leaves. When you need a place to seat guests, serve food and enjoy a delicious meal simply use the leaf extensions to create the table size that’s right for the occasion. 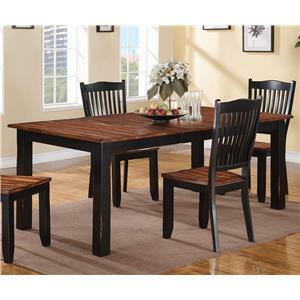 Create a smaller, more intimate dining area by taking out a leaf. 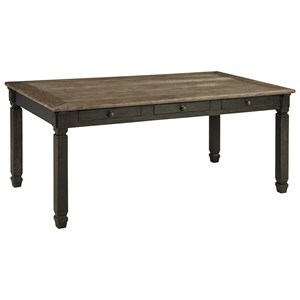 Bring warm rustic style to your dining room with this trestle table. 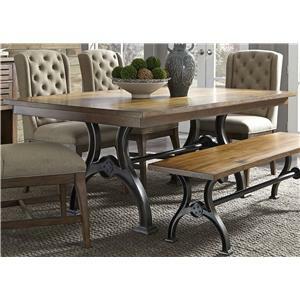 Inspired by the industrial age, the piece features a classic trestle shape and turnbuckle accents. A rich finish highlights the natural beauty of the Mango veneers and solid hardwoods for a look of rustic sophistication. 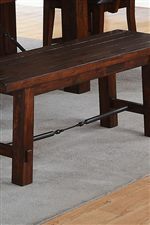 The Retreat Trestle Table with Turnbuckle Detail by Winners Only at Godby Home Furnishings in the Noblesville, Carmel, Avon, Indianapolis, Indiana area. Product availability may vary. Contact us for the most current availability on this product. 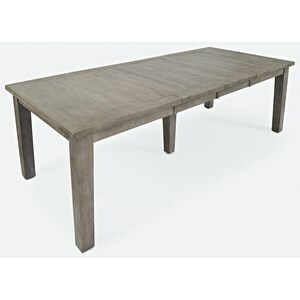 DR142100T Table Top 1 0" 0" 0"
Leaves Two 12" leaves extend table from 78" to 102". 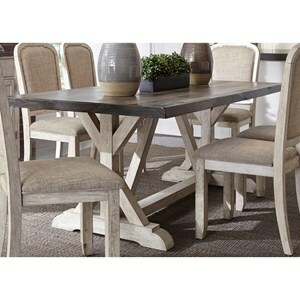 Capture the warmth and beauty of rustic style with the inviting Retreat collection. 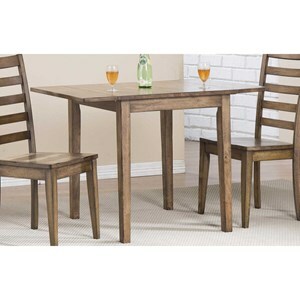 The dining and bedroom group is crafted from mango veneers and hardwood solids, marked with metal turnbuckle detailing that highlights the collection's industrial influence. A rich Mango finish brings the natural beauty of the wood to light, while elements like open lattice design touch on English country style. 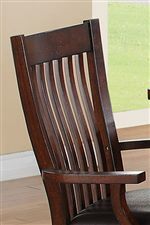 The Retreat collection is a great option if you are looking for Transitional Mission furniture in the Noblesville, Carmel, Avon, Indianapolis, Indiana area. 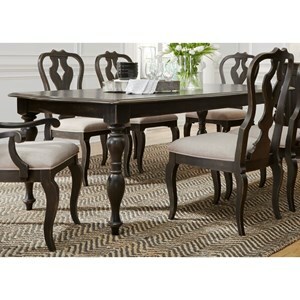 Browse other items in the Retreat collection from Godby Home Furnishings in the Noblesville, Carmel, Avon, Indianapolis, Indiana area.